Dr. Mohammed Alsharaky completed Bachelors in Medicine and Surgery from Ains Shams Univeristy, Egypt. He also has completed Advanced Trauma Life Support (ATLS), Advanced Cardiac Life Support (ACLS) and CPR First-Aid. 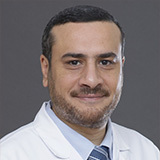 Dr. Mohammed Alsharaky’s work experience spans 15 years in various hospitals in Middle East namely as a Resident of Intensive Care Medicine and Cardiology in Shebein Elkom Hospital, Egypt; Resident of Intensive Care Medicine in Dar El Hekma Hospital, Cairo, Egypt; Resident of Intensive Care Medicine in International Medical Center and Resident of Intensive Care Medicine in Jeddah Clinic Hospital, Saudi Arabia. 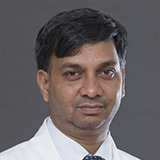 He also has experience as an American Heart Association Instructor in King Abdullah Medical City, Makkah, Saudi Arabia. 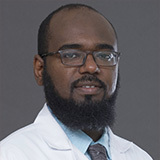 Dr. Mohammed Alsharaky speaks English and Arabic.